Delivered by Chicago-trained elite improv veteran (and author of Getting to “Yes And”: The Art of Business Improv) Bob Kulhan, you’ll discover how Business Improv® techniques strengthen a skill set directly related to team trust, communication, creativity & innovation, influence, networking, adaptive problem solving, and conflict management. Bob Kulhan is an Adjunct Professor of Business Administration for The Fuqua School of Business, Duke University as well as an Adjunct Professor of Business for Columbia Business School, Columbia University. He also is the Founder & CEO of Business Improv®. Based out of Chicago, LA & New York City, BI is a world-class leader in developing experiential learning programs for businesses. For over 21 years Bob has performed and taught improvisation internationally. His teaching and performing credits include Chicago’s famed Second City (core faculty & master artist), Improv Olympic (resident company/faculty), Columbia College, London TheaterSports, The Banff Centre, The Australian Graduate School of Management, Koç University in Istanbul, The Wharton School of the University of Pennsylvania, UCLA Anderson School of Management (mba & exec. ed. ), Columbia University Business School (mba & exec. ed. ), and Duke University’s Fuqua School of Business. His consulting and teaching work in leadership and managerial improvisation includes emphases on team skills, fostering a collaborative corporate culture, whole body listening, busting blocks to creativity, conflict management, dyadic relationships, creative and adaptive problem solving, leadership, influence, and fostering creative cultures. 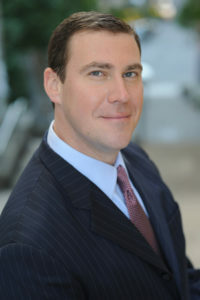 Since 1998, his customized Business Improvisations programs have served a large international roster of blue-chip firms such as GOOGLE, PepsiCo, American Express, Capital One, Ford Motor Company, Cushman & Wakefield, SAS, Mazda, Glaxo Smith Kline, DuPont, Bristol-Myers Squibb, Hilton Hotels Worldwide, Starwood Hotels & Resorts Worldwide, Jumeirah Emirates Towers in Dubai, Neutrogena, Progressive, Colgate-Palmolive, Raytheon, WebMD, Procter & Gamble, R&D University, the US Department of Defense, and the US Naval Academy. Bob is the author of ‘GETTING TO YES AND’, by Stanford University Press, January 2017.